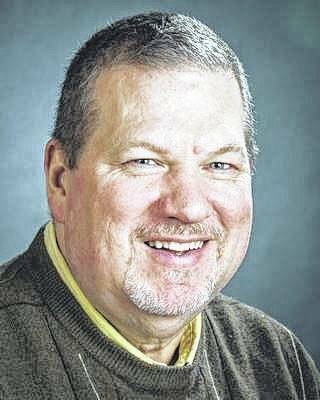 Column: Nothing to do in Galion? You’re kidding me, right? It’s a trick question. If you’ve lived in Galion the past 25 years, that’s not a phrase you’ve heard often … if at all. Bob Dylan, in his 1964 album, “The Times they Are a Changin’,” included that signature song. The title is a good description of what’s going on in Galion. From nothing to do, to too much to do. If you can’t find something fun to do, a place to socialize, a place to eat, it’s because you refuse to admit there are positives all around this cmmunity. 1803 Taproom just celebrated it’s second anniversary. The site on Harding Way East features craft beer from around Ohio. Owner Chris Stone also brings in food trailers or local business people with local product to cook on special occasions. 1803 is a go-to place for special events, group get-togethers, charity fundraisers, reunions and more. Follow the happenings at 1803 Taproom on Facebook. Just a block further east is Fox Winery. It’s also become a gathering place for Galionites. Owners Ron Fox and Steve Arlen make, bottle and sell their own wine on site. They have a room available and will allow customers to make their own wine on-site. The winery sells product to make wine and beer and will provide instruction for new wine and beer makers. For more information, visit it’s Facebook page. Not open yet is Iron vault Distillery, which is occupying the former Longstreth Memorial building on Harding Way West, across the street from the home of Galion Community Theatre. Owners John Bassett and Sam Thacker plan to brew specialty spirits: rum, vodka, single malts, gin, bourbon and moonshine. There will be a tasting room on site and they’ll be able to sell their product in Galion and elsewhere. Bassett took his business idea to city officials, where they received a warm welcome. He said it was a no-brainer to build the distillery in Galion. Learn more about the new venture on Facebook. 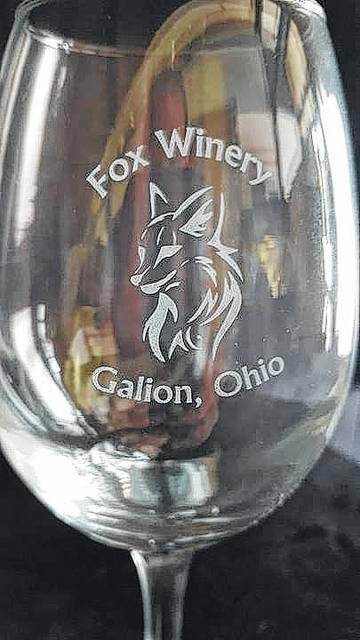 Arlin and Fox are from Galion. Stone is originally from Bucyrus and Bassett is from Ontario. It’s not just locals who are investing in the community. This week, Marion businessman Mike Bodine, opened Downtown Vapor Lounge, also on Harding Way East. Bodine is a civil engineer and owns My Imprint Studios in Marion, where his business focus is graphic design, apparel and promotional material at affordable prices. Downtown Vapor Lounge is a vape shop. He sells product for users of electronic cigarettes. But you just have to walk into Bodine’s newest venture and you know it is much more than a vape shop. Artwork produced at My Imprint Studios adorns the walls. There is a lounge area a5 the back of the lounge with comfortable chairs. There are new ceiling fans and the shop has a rustic, cozy feel to it, which was the owner’s idea. There is a story about the company in today’s Galion Inquirer and you can learn more on Facebook. In the same block as 1803, and Downtown Vapor Lounge is Planet 14. And there are other things to do in Galion. The Candi Bar, 125 Harding Way East, sells coffee, espresso, tea, candy and baked goods made in the Galion area. Check out www.thecandibar.net for information on candy buffets, linen rentals and having other special events there. But lovers of sweet treats have another place to shop in Galion, too. Cake and Icing, 114 Harding Way West, opened this year. On its Facebook page, Cake and icing is billed as a cupcake shop, but it’s more than that. The owners do special events and sell cookies, cake in a cup and more. There are several eating establishments in Historic Uptowne Galion, too. Chris’ Big Plate Diner has new owners. Although the signage hasn’t changed Bistro 217, 217 Harding Way East, is open for business. The new owners are Holly and Steve Rose, former owners of the Roseberry House. A story about Bistro 217 appeared in the Galion Inquirer on Wednesday and on galioninquirer.com. The Whistle Stop Cafe, Payne’s Pizza, Jade Palace and Wendy’s are all within a few blocks of the square in Galion, as are Tubby’s Pizza and Domino’s. Outside the downtown area are more places to eat. Ralphie’s opened this year at the former Varsity Grill. Also along the Ohio 598 corridor are El Tarasco, Pizza Hut, Papa John’s, East of Chicago, Little Caesar’s, Tim Horton’s, Burger King, McDonald’s, Subway, China Garden and Taylor’s. There also is M & S Pizza on Jefferson Street. Also in Galion, but closed during the winter are DK’s Drive In and Caleb’s Brookside Dari. Galion also has two golf courses — Sycamore Creek and Valley View and a bowling alley, Victory Lanes. Two art studios that offer classes and shows — Brush & Palette and Contemporary Art Space — are open. Galion Community Theatre, which puts on several productions each year featuring adults and students has been holding sold-out performances for years. Galion Historical Society and Brownella Cottage have special events throughout the year, from car shows to haunted experiences to real life games of Clue. Historice Grace Church, across the street from Brownella, is now open for special events … weddings, meetings, reunions, etc. The Gill House has special events througout the year, including those of the paranormal kind. Galion also has three pretty large community festivals each year: Pickle Run, the Oktoberfest and next month’s Come Home to Galion Celebration. I’m certain I’ve missed a few places or events, but not on purpose. It took me several hours to compile this list. But that reinforces my point that there is plenty to do in Galion. If you can’t find a place to eat, or a place to spend a special evening or just a casual evening with friends, it’s because you’re just not looking.